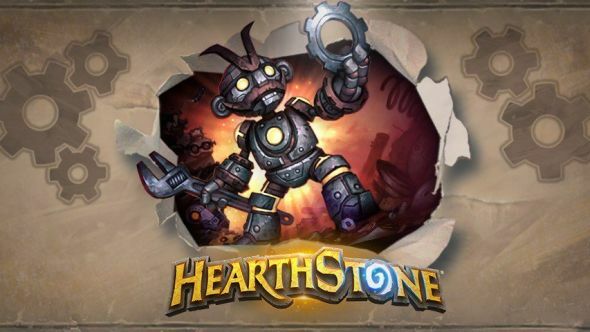 Hearthstone ranked play is currently disabled. Technical issues have meant that players are as yet unable to play their matches for the start of the March season. Going to the Hearthstone client still allows you to click through to begin a ranked game, but clicking play brings up an error message telling players they can’t connect to their game. Blizzard tweeted last night to acknowledge the issue, and when I attempted to load up a game a few minutes before time of writing, I was still seeing the error message. Several community managers have posted regarding the issues over the past few hours. The most recent (and relevant) of those updates came about five hours ago, when Aratil posted to the forums to say that “we have identified the cause of the issues with Ranked Play progression, and are working on a resolution. While we continue to work on this, Ranked Play will be in extended maintenance.” You can check out the full thread, which will be updated as Blizzard figure out a solution, here. It’s far from ideal timing for Blizzard, who were probably hoping to stoke some excitement for the upcoming Year of the Raven, which was announced earlier this week. There’ll be more information about that sometime later this month, before a full release likely scheduled for April.